Determination. Dedication. Honor. These aren’t just words. These are mantras followed by Spoken, which sets them aside in the music industry. Those words define the passion by the which this band takes on the world. 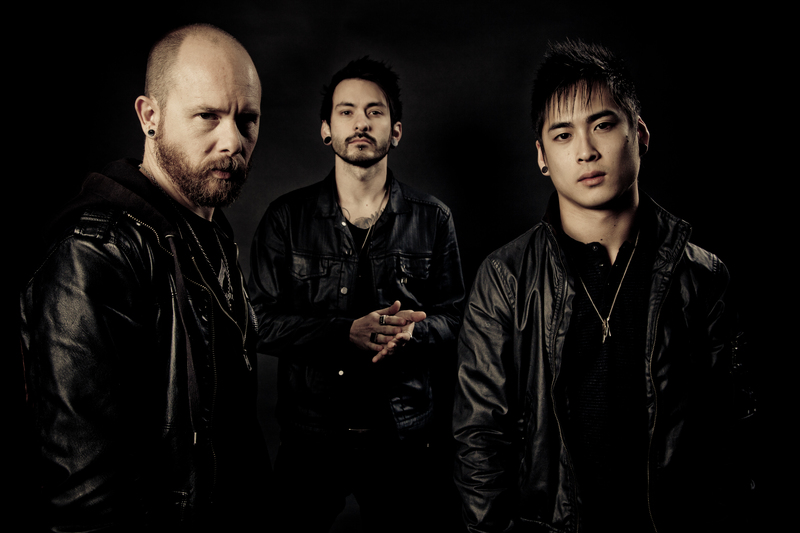 With their new album, Illusion, releasing on 02/12/2013 through E1 Music, this band has achieved a new pinnacle in modern rock. 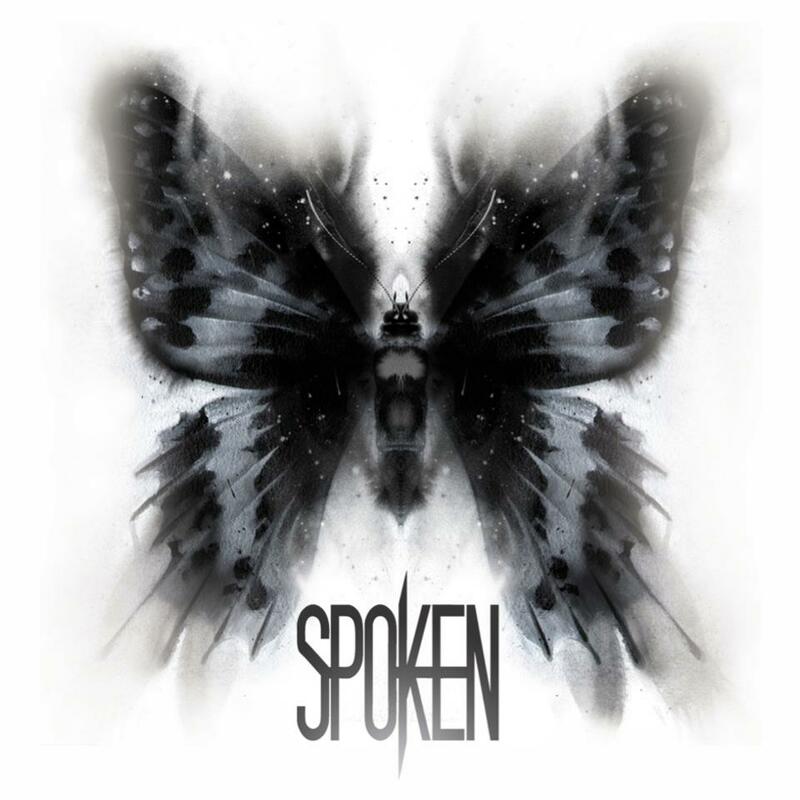 RockRevolt Magazine enjoyed a wonderful afternoon talking to Spoken‘s very own Matt Baird about their new album, Illusion! Your seventh studio album will be releasing on February 12th. Tell us how excited you are about getting this album out there. You know what, it’s one of those things where it’s been so long since we’ve had a record out that I kind of forgot what it was like to have a record. (laughs) We got some of the actual physical albums shipped to us (because we had to have them signed and sent to our backers and some preorder stuff.) It’s really weird to open up the box and see the album for the first time, with complete artwork and everything. I sent a text to my wife saying, “It feels real now!” I mean, it has been almost five years. Wow. I didn’t realize that it been that long. I thought it was more like two. No. September 2007 is when our self-titled album came out; which was our sixth album. It’s been a long process. That is a long process! Apparently this is not a typical roll-out for albums. Why did it take so long? We’ve gone through some changes over the past few years. Once we fulfilled our contract with Tooth & Nail Records, that put us as an independent band again. So we asked ourselves, “What are we doing? What’s next? We did three albums on an independent label, three albums on Tooth & Nail, and now we are going to number seven. What are we going to do differently, especially at this point in her career?” We’ve been a band for almost 17 years. That was a major feat in itself. A lot of bands don’t get to do that. They don’t get to experience longevity like that. There were member changes. We weren’t sure what we were going to be doing, what label we were going to be on, whether we would go independent, have a Kickstarter or not, etc. etc. We also live in three different states, so we are scattered out. We also tour roughly 8 months out of each year. We are gone two and half weeks, home two weeks. That is usually the cycle we go. It’s hard to get together and practice in a room like other bands get to do. We don’t have that luxury with our current situation, but we always said we would do whatever it took to make it work. In order to do that it’s a whole lot of e-mailing song ideas back and forth, trying to do our best while we are together in the studio. We were tracking a song here, tracking a song there. It’s been quite the process. Tell us about this upcoming album. What would a longtime fan expect from it? You know, it’s easy for bands to say, “Yeah, this album is totally different from the others. We stretched ourselves.” With this record, I think we learned more about songwriting, and what it is about songs that made them good. For years, we were like, “That’s a really cool guitar riff. Let’s make sure we use that” or “I really like that vocal melody. Let’s use it.” Too often bands put a structure together for song, and when they get into the studio, the producer is like, “We are going to go through and ‘trim the fat’.” You get rid of the pieces that are unneeded. This time around we were able to spend more time on the songs, record them, make a rough demo and take it with us on the road, and just gather ideas of what we would like to do differently. I think older fans will hear the aggressive parts, but some different styling of guitar riffs or vocal cadence, or a deeper scream than normal. It’ll be an aggressive record with elements of melody spread throughout it, and an uplifting message. I think old fans will be stoked about it. Then there are the new fans that have never heard of us. If we were to put our best foot forward, it would be this record. What makes this album stand out above other albums being released at this time? What would make me buy this album above the rest? You know, I’m not sure! (laughs) I think it’s something that someone will just have to listen to a bit, like “Through It All”. It’s the first release off the album. If they were to hear that, and they liked poppy stuff and stuff with wide-open choruses, they will like this. It gets epic in the bridge, and the song takes them somewhere. The uplifting message of the song will also do that, and allow them to make it through any situation in my life, no matter what it is. I think if a person hears that, they are going to pick this up, because there are several songs that have that feel. At the same time, if you tell someone that there are some really heavy songs on there, I think people that like heavy music will also check it out. There’s a little bit of everything, for everyone? I think there is. When we were writing the record, because we were able to spend so much time at and forth and in the studio, throwing songs away, writing new ones, etc. etc… If anything, we were worried about making sure the album was cohesive. We have song like “Remember the Day” or, “Calm the Storm,” that are some of them most anthemic type songs that we’ve had in a long time. Then we have songs like “Stand Alone” and “Accuser” and “Illusion” that are just really heavy but have choruses that bring it together, making it cohesive . Then you have the other mid-tempo songs like “Don’t Go”, “More Than you Know”, and “Tonight.” We were worried about making sure that we had a cohesive record instead of making sure that we had “six heavy songs and six not”; which we were able to do because we were able to take the time we did and the fact that the guy that produced the record is pure genius. There is no way around it. He knows his stuff. He would introduce us to stuff and tell us why certain artists made certain decisions. We would take many references: we would be listening to Slipknot one moment, and 30 Seconds to Mars next. We went from extreme to the other, appreciating how they did it, and figuring out how we could do it. Obviously, this is part of the writing process. What did you contribute towards the writing process? Lyrics are mostly my thing (lyrics/melody). If it’s something that I’m going to be singing, I want to believe it. I want it to be from my heart and be something that I’ve experienced, or had a conversation with someone about. Something sad may inspire me. Oftentimes, a person’s writing lyrics and melodies for a song will get too wordy. Our producer would be like, “Let’s figure it out. How do we say what you want to say in as few words as possible, yet making a nice sounding melody and getting your point across?” So, that was mostly my thing, but it was a group effort. I would show the guys the melodies, and then we would pick it apart. It’s just the producing of the song. It was really cool that we were all involved in that. In the same way, if there was a drum part that stuck out, we could say, “Dude, that drum part is rad. You should continue on that.” We were all writing guitar riffs. We were all beatboxing drumbeats. We truly all had equal say. Thousands of ideas were thrown around and we picked what we felt was best, and our producer was the mediator. (laughs) It was a really cool process. It took longer than we had hoped, but being a full-time touring band, it’s kind of hard. We didn’t have the luxury of having a studio set up in the back of the bus where we can cruise down the interstate and record songs all day. I read about one of the songs off this album being inspired by the Joplin tornado. What about that event prompted you to write a song based on it? Did you have family or friends that were there? Spoken started in Fayetteville Arkansas, which is about 45 min. from Joplin. I’m from there, and our drummer still lives in Northwest Arkansas. All of my family lives in that area. I moved to Iowa (the frozen tundra of the North!) ten years ago. We know a lot of people there. There’s a venue there that we play at occasionally. The crazy thing was that we were on our way to the studio, and we were working on a song that we have revisited multiple times. It just wasn’t working the way that we wanted to. We were down to one of the last songs on the record, we were like, “Let’s go back to that one song.” Anyway, I sat down (this was right after the tornado) and was sitting there jaw dropped. All we could think to ourselves was, “What if that was 45 minutes further south?” Everyone in my family would have been affected by that. It hit home. What would I say to them if I were there? If I were there with the Red Cross and a part of what was going on? If there was anything that we would need, it would be hope. I think that is something that relates to people in all walks of life. It just so happened that that’s when that happens. The outside of the wall of the tornado was a block from a venue we play at. Everything was leveled and destroyed up to one block away from where the venue is. We had the opportunity to play that song there a couple of months after the tornado went through. It was surreal. I just walked around the leveled neighborhoods. I couldn’t believe it. I understand. I live relatively close to in Henryville, and we went in with the Red Cross to do damage assessment, and until you are in the thick of it, you have no idea. I think there are certain things that people can think about that overloads their circuits. I think if I had been there on that day when it happened, I don’t know what I would’ve done. I don’t know what would be going on through my head. I think a survival instinct would kick in and I would try to help as many people as possible and not stop until dropping from exhaustion. I think that is what all those people did. It’s crazy when something like that is what makes the whole country come together, and help. It’s amazing what can be done in those situations. Listen to Through it All! Absolutely. Is that the reason why this is the first single off the record? I think it comes down to this. What do people need? They need hope. They need to know that they can make it through. I feel that if there were a starting point of how we are going to introduce what we do to those who have never heard us, we should ask ourselves what song would we want to put out there. I think everyone was like, “Dude, “Through it All”! Let’s do it. Let’s go with it.” It is one of the stronger songs on the record, because I think it’s all-encompassing of what we do. It doesn’t capture the happy moment of who we are, but I think there are plenty of songs that can do that. I know my personal favorite from the album is “Remember the Day”. What song stands out to you the most? Can you give us a rundown of what this album means, or the message it delivers? This album wasn’t meant to be a concept album, at all. It went from songs dealing with bitterness and confusion, and grace and redemption is where it kind of ended up. You go from one extreme emotion to another. “Stand Alone” is about, “I’m here right now. How do I do this? How do I handle this? What’s going to get me through this?” Then you go on to “Calm the Storm,” and you’re at the mercy. You’re like, “God, please calm the storm inside me, because I’m so lost.” It goes all across the board. Do we love playing music? Yes. Do we love playing rock ‘n roll? Do we love playing live? Doing love recording albums? Yes. Do we love seeing the country? Yes. In the end though, it’s a bigger thing than that. We want people to know that there is hope, and we have found our hope in Jesus. That’s why it’s all across the board. I don’t think that a person is who has never heard this is going to listen to our record and be like, “Wow. These are a bunch of Bible thumpers.” That’s not the case. We love music. We love people. Let’s do this. We are in this world together. Let’s make it happen. Right. Well said. I reviewed the album, and one of the comments that I had about it, after listening to it over and over again, is that the first song and the last song are very similar, and I was curious if that was intentional? You know, that wasn’t the plan. That wasn’t what we went into the studio thinking. We just happened to have some trashy sounding drums at the beginning, and then they both start super aggressive. They’re just really similar. “Illusion” has super wide open courses, and then the bottom drops out of it. It wasn’t meant to be that way, but if someone were to look at these two songs and say they were both really heavy songs, I’m okay with that. If you look at most metal records, it’s all one long metal song. They run together. I love metal, but I can honestly say that it can be really hard to make an album cohesive. Hopefully if you like one, you like the other. And I do! That is actually my last question. Do you have any questions for me? No. I’m just thankful that you care enough about it to listen to it, one; to listen to it more than once, another; and then to take time to ask questions about it, we are thankful. We are very thankful for being in the situation we are in: be on a new label, cool tour opportunities coming up, and to just be a band and still do it. We love it. We never want to be a band that takes it for granted or act like we are owed something. We are lucky to be able to play music, and we know that. There you go. Thank you so much for making all this music for us! SISTER SIN KICKS OFF TOUR WITH DORO!